We love pears in the winter! Love them year-round really, but we enjoy them especially in the fall and winter when fruits are less bountiful. Before eating them for dessert, we like to display them – they add a delicious country look to any kitchen or dining room. But of course the best part of it is eating them! 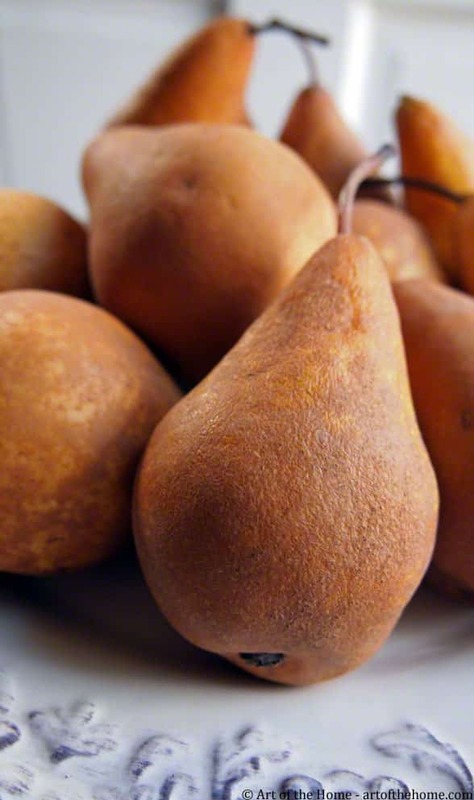 Pears are delicious just as is after a satisfying entree, with chocolate (have you tried our pear Belle-Helene yet? ), simmered in red wine, or in sweet tarts. There are many variations of sweet tarts with pears which is a fun way to vary your desserts and today, we are baking one of these pear tart variations: our almond cream pear tart (Tarte Frangipane à La Poire). 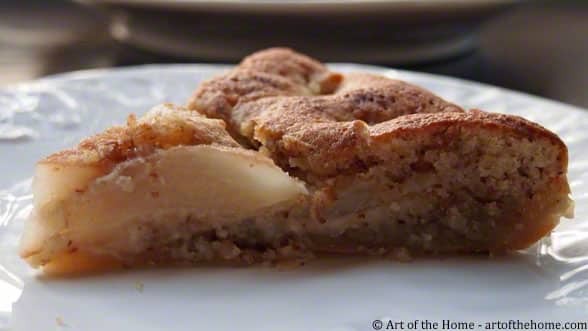 So if you have not eaten too many galettes des rois by now and are not tired of almond cream filings yet, then you may enjoy this delicious tart that marries pears and almonds so well (pears and almonds do make a great couple!) 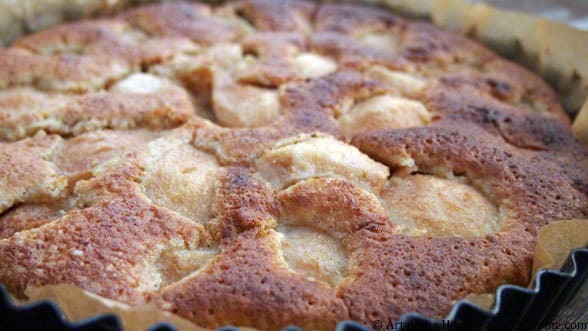 So check our detailed almond cream pear tart recipe and Art of the Home suggestions below. Enjoy and bon appétit! Enjoying your Almond Cream Pear Tart, Bon Appétit! 4-6 pears, depending on the size of the pears. Favor bosc pears or a firm type that will hold during cooking. Butter a 9 inch tart pan (or line with parchment paper) and place puff pastry sheet inside the tart pan. Cut out any excess with a knife and patch up if some you are coming short on some areas (it happens with the Trader Joe’s puff pastry sheet since it comes in a square but it patches up really nicely). If puff pastry sheet does not have holes, prick with fork (a dozen times or so will do) and pre-bake. Prepare your almond cream (crème d’amande) by mixing the almond powder and the sugar. Add softened or melted butter and mix until you get a crumbly mixture. Add liquor (for special occasions we like to use Grand Marnier for a hint of orange flavor — goes great with almonds, but for a weekly treat, we simply use rum). Mix in 2 eggs one by one and add in your sifted flour. Last, mix in your extracts. Spread the almond cream evenly in your pre-baked puff pastry shell. 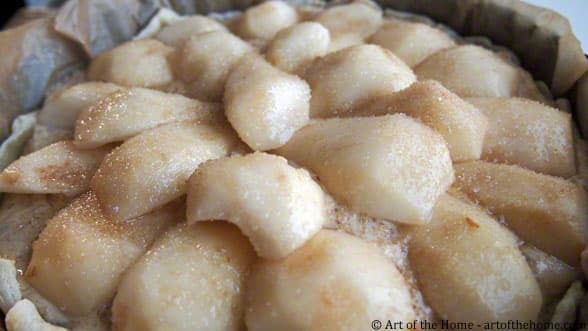 Arrange the pear quarters with the pointy ends towards the center of the tart pan. Depending on the size of your pears, you may need to make two circles. Add one pear quarter at the center. Sprinkle 2 Tbsp of sugar cane. Lower oven temperature to 350° and bake for about 35 minutes. During the last 1-2 minutes of cooking, set broiler on high for a nice golden color — but keep monitoring so it doesn’t go pass the point of no return! Serve warm or cold. We prefer warm so if we make it ahead we put each slice 30-60 sec. 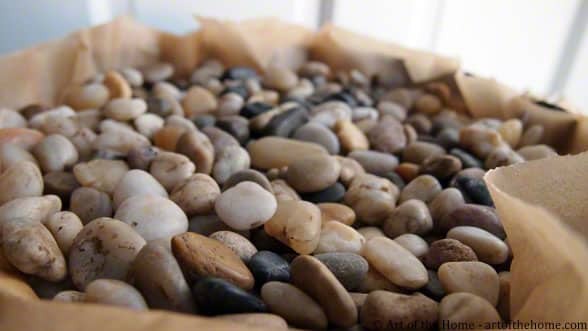 in the microwave prior to serving or warm up the entire tart for a few minutes at 325-350 °F in the oven. Confectioners’ sugar: for a touch of elegance, dust with confectioners’ sugar . 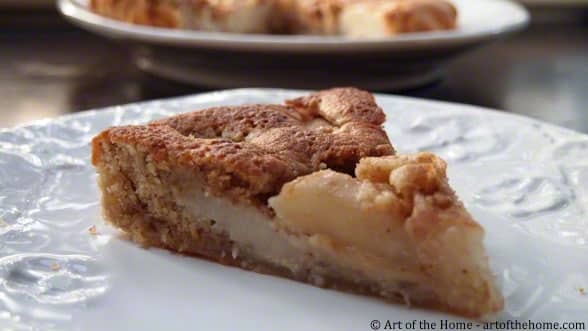 Crust: you can also make our almond cream pear tart with a pâte brisée (French pie crust), storebought or try the Art of the Home easy homemade pâte brisée.